What makes the best hypoallergenic dog food? 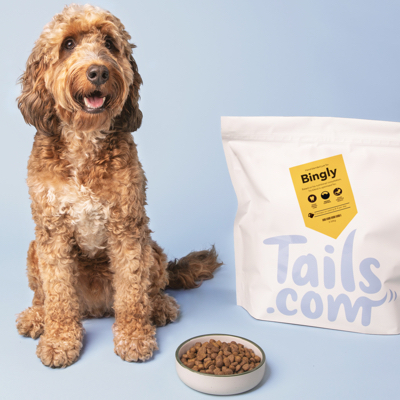 Tell us about your dog's allergies, intolerances or conditions and we’ll create a hypoallergenic dog food recipe just for them. We’ll leave out common allergens and work with you to make it right for life. So you can say goodbye to dog food allergies for good. What's different about our hypoallergenic food? The five ingredients most likely to cause an allergic reaction: beef, eggs, dairy, soya, and wheat. We can leave out any or all of them to suit your dog. We use lots of fish, lamb, and chicken – sources of protein that are easy on the tummy and great for sensitive digestion. We use hydrolysed salmon protein, which splits the protein strands into smaller ones so they’re less likely to trigger an immune response. Hypoallergenic food not quite what you need? If your dog has digestion problems without the big allergies, you might be better with a recipe for a sensitive tummy.